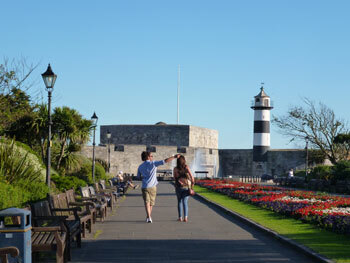 Are you looking for an English language course on England’s beautiful south coast? Would you like to study in a student-friendly city with a fascinating history as well as modern, cosmopolitan bars and restaurants? 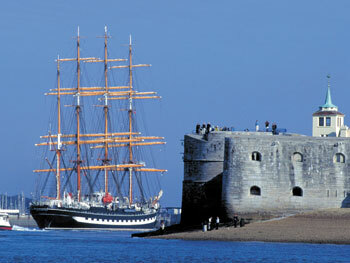 Then Portsmouth could be the perfect location for you! 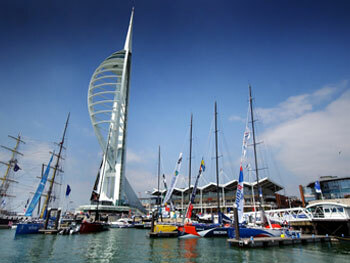 Known as the ‘waterfront city’ thanks to its historic dockyards and maritime legacy, Portsmouth is certainly an excellent location for those who love the sea! 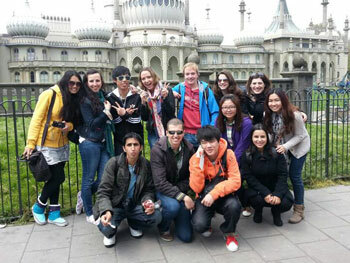 Our English language school in Portsmouth is very centrally located in the university district of the city. There are 55 bright and airy classrooms and group sizes are small (typically 4-8 students, with a maximum class size of just 12 students per class), ensuring that you benefit from the very best learning environment. 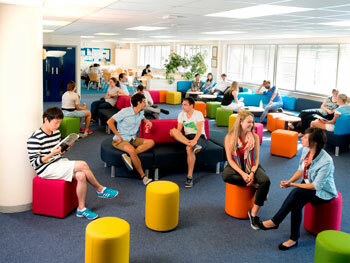 The school offers excellent facilities for English language learning, including free WiFi access, well-equipped classrooms (many with inter-active white boards), a study centre filled with learning resources, 2 student lounges with flatscreen TV, pool table, table tennis and piano and a large student cafeteria, offering freshly prepared hot and cold food and an ideal place for socialising with other students in between your classes! 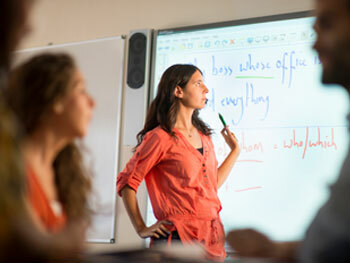 Our Portsmouth school offers a wide range of English language courses to meet all requirements. If you would like to improve your overall level of English, then one of our general English courses would be perfect for you! The school also offers courses in academic and business English for students who wish to improve their English for career purposes and exam preparation courses, which are perfect for those who are preparing to take their IELTS, or Cambridge exams. 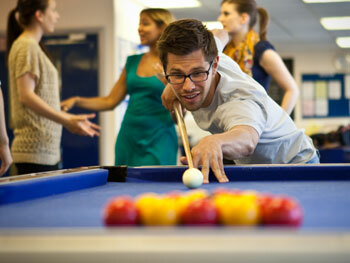 Host family accommodation is offered by our school in Portsmouth on a half board basis. We would always recommend this option from a linguistic point of view, as your host family will encourage you to speak English with them and to practice what you have learnt in class! 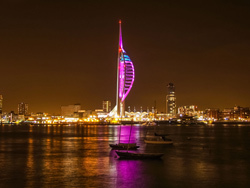 However, if you would prefer to live more independently whilst you are in Portsmouth, our school also offers shared accommodation in the student residence. Activities are arranged every week in order for you to socialise with other students, get a taste of the local culture, practise your English and completely enjoy yourself! Examples of activities include: dinners in restaurants, quizzes, pub nights and trips to the cinema, to museums or to the theatre, amongst many others! Our school also organises regular excursions to local places of interest and further afield such as London, the Isle of Wight, Oxford, Stonehenge and Cambridge! We are happy to arrange an airport transfer for you, although this is not included in the course price.